WE OFFER POOL CLEANING & CHEMICAL MAINTENANCE! 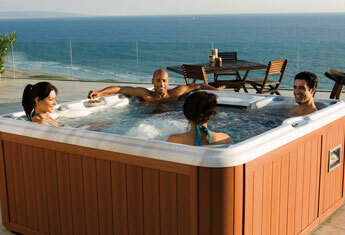 Here at Geraty Pools, we build only the Pacific Graphex Polymer Inground Pool. 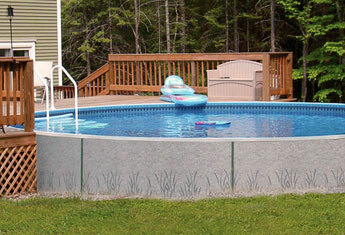 The Pacific Pool is built to withstand well over a lifetime of use. After the excavation, we install the Graphex Polymer panels, with braces set every three feet. We then pour a one-foot concrete footer at the base of the wall around the pool. 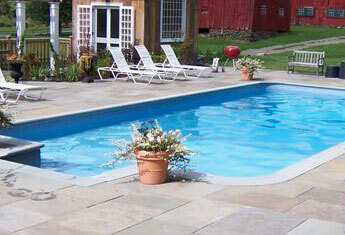 At Geraty Pools, we add quality to our pools instead of cutting corners to save money. We start by dishing the center of the pool to five feet, then we add a sand and cement bottom to the pool. Then we use a beaded, snap in, tile print liner instead of an overlap liner. We add properly sized filters on every pool to keep the water sparkling clean. 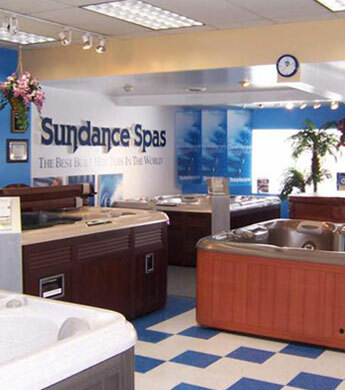 Let the combination of heat, buoyancy and massage bring you instant gratification as you enjoy your Sundance Spa. Jets massage muscles, joints and pressure points. The water's heat dilates blood vessals to increase blood flow to sore or damaged tissue. Buoyancy reduces body weight by 75 percent, alleviating pressure on joints and muscles.